Superfoods: Do Their Nutritional Benefits Support the Hype? The term “superfoods” is applied to certain foods by the media, commercial food companies, and health professionals, but there is no legal or scientific definition of a superfood. The term “superfoods” is applied to certain foods by the media, commercial food companies, and health professionals, but there is no legal or scientific definition of a superfood. Generally, a superfood is a food that is excessively rich in antioxidants. When calculated by weight, superfoods have more antioxidants packed into every gram and are marketed as entities helping to fight diseases and prevent wrinkles. Common Superfoods include salmon, nuts, legumes, seeds, blueberries, strawberries, Goji berries, soy, pumpkin, kale, lowfat or non-fat yogurt, dark chocolate, and red wine. The quantity of antioxidants is measured using the “ORAC Scale” or Oxygen Radical Absorbance Capacity Scale. Healthy foods such as blueberries contain 2,400 ORAC units in every 100 grams. In comparison, Goji berries contain 25,300 ORAC units in every 100 grams. Raw cacao contains 98,000 ORAC units in every 100 grams. Foods with extremely high ORAC units like these are classified as superfoods. According to Kris Etherton from the Pennsylvania State University, “there is no approved list or standard criteria for superfoods.” Nutrition experts prefer not to use the term superfoods, as food companies use it to spread several myths about these foods. Due to misguided marketing efforts, people have unrealistic expectations from these so-called “superfoods.” They believe that eating a few superfoods, alongside a poor diet, will magically avert chronic diseases and other health issues. While it is true that a healthy diet can lower the risk of cancer, just eating superfoods alone will not prevent the disease. There are limited studies on the health properties of these foods. On the face of it, they appear to support the claims that superfoods exist, as they point to the various healthful properties of these different foods. However, the difference lies in the way in which these foods are studied in the laboratory and the way in which people consume them. Thus, the results of these studies cannot be accurately applied to everyday life. For example, research on the health benefits of foods is characterized by the use of very high quantities of nutrients. Such levels of nutrition cannot be reached by daily meals. Also, the physiological effects of some foods last only a short while. Hence, individuals seeking these benefits will have to eat huge quantities of that particular food. Not only is this not possible, but it could be harmful, too. For instance, if too much cocoa in the form of chocolate is eaten in order to reap the benefits of the flavonoids present in it, the consumption of sugar would also increase beyond recommended levels. Studies that research the properties of superfoods also do so using animal models like rats or in vitro experiments using cultured human cells. While these methods help provide information about the physiological aspects of the food and its properties, the same effect is not necessarily carried forward to those who eat superfoods as a part of a normal diet. The effect of foods on humans is complex because of the variety of factors that have an effect on the body, such as genetic factors, lifestyle, environment, and diet. Thus, interventional and observational studies will be needed to provide more accurate information about the fates and effects of “superfoods” in the human body. As stated above, the so called “superfoods” by themselves will not accomplish great health. We have to understand that overall health is achieved by a combination of factors working collectively. The importance of a balanced diet rich in fiber and antioxidants, reduced consumption of fatty food, an exercise regimen, methods to overcome stress, etc. cannot be emphasized enough for a healthy life. Setchell, K. D., & Radd, S. (2000). Soy and other legumes:‘Bean’around a long time but are they the ‘superfoods’ of the millennium and what are the safety issues for their constituent phytoestrogens? Asia Pacific Journal of Clinical Nutrition, 9(S1), S13-S22. Jelliffe, D.B. (1967). Parallel food classifications in developing and industrialized countries. The American Journal of Clinical Nutrition, 20(3), 279-281. Tapsell, L. C. (2006). 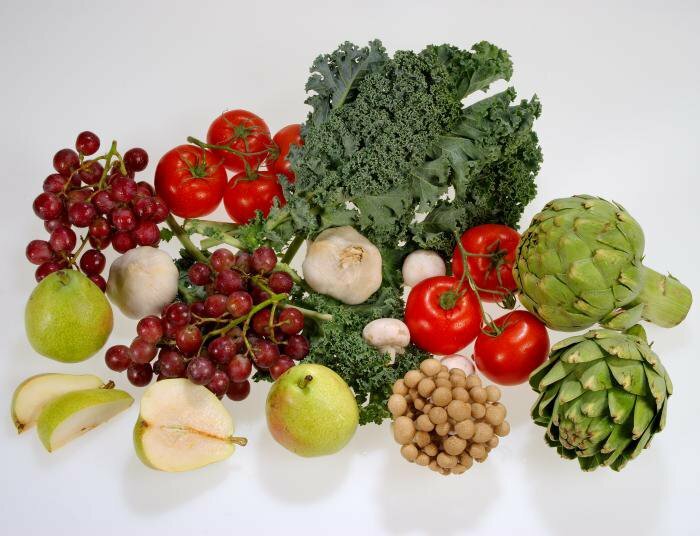 Superfoods: implications for dietitians. Vitamins, M. (2013). 6 Superfoods That Could Save Your Life.